When it came time for our daughter to graduate high school, she was blessed with the opportunity to attend her choice of several different universities. She looked at a few of them but it didn't matter. 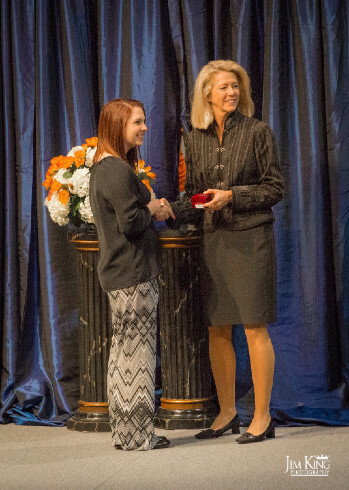 She wanted to be a "BearKat" and Sam Houston State was the only place she felt she could get what she needed for her chosen career path. My wife and I had no problem with that, as SHSU is a great school with an incredible reputation for their Criminal Justice program. It's been a good "fit" for Chelsea as she has excelled in her classes, made lifelong friends in both students and professors, and is excited more than ever about her future. It's hard to believe that my baby girl is all grown up (I will save that for another blog) but she is now a Senior at Sam. 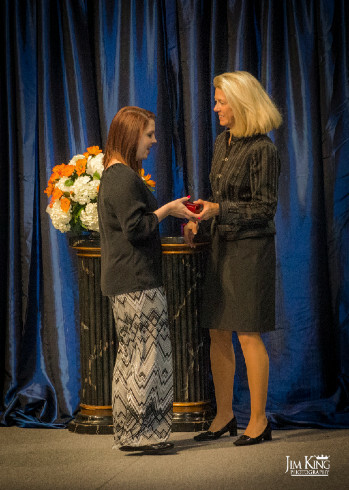 Last night, my wife and I attended the Senior Ring Ceremony and it was truly a site to behold. 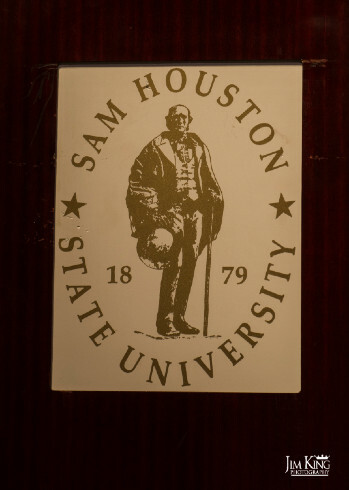 Named after the Texas hero, Sam Houston State University was established in 1878 and is a beautiful campus and deep in tradition. One of those traditions is the "ring ceremony" which actually began the day before the presentation. 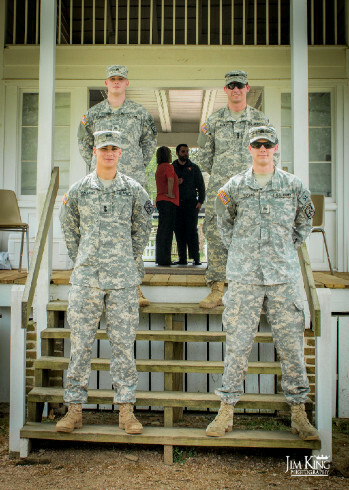 The cases of senior rings are escorted to the home of Sam Houston by the SHSU Army ROTC. 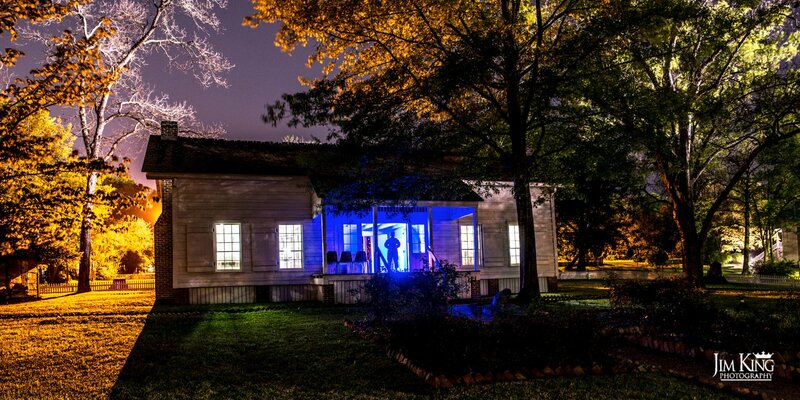 The rings are then placed in the bedroom of of the old Houston homestead where they are guarded throughout the night. 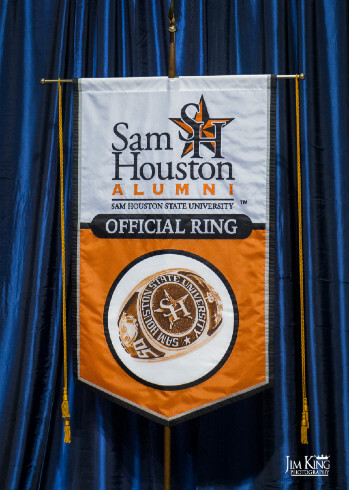 The day of the ceremony, the rings are then escorted by Army ROTC and SHSU Police to the colliseum where during an incredible ceremony, they are handed individually to the recipients. Tradition can be a wonderful thing and makes for lifelong memories! Something to note is a specific inscription on EVERY Senior ring. When Sam Houston was a young man and prepared to leave home, his mother gave him a keepsake ring. Inside it the word "HONOR" had been inscribed. Though the rings of today's graduates can be created in a varity of styles, materials and "bling" they ALL have the same inscription to the inside of the band, and yes it reads "HONOR." 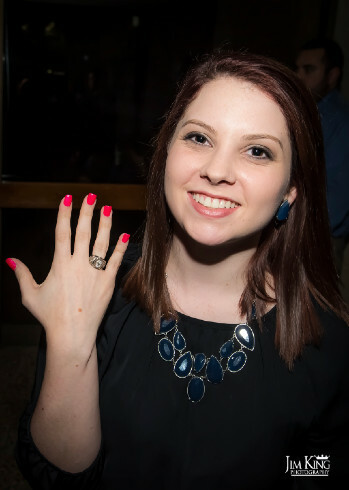 I was fortunate enough to be able to capture in photographs, the rings as they traveled to Sam Houston's home until they were presented to senior students. Attached here are a few of the images I captured during those travels. 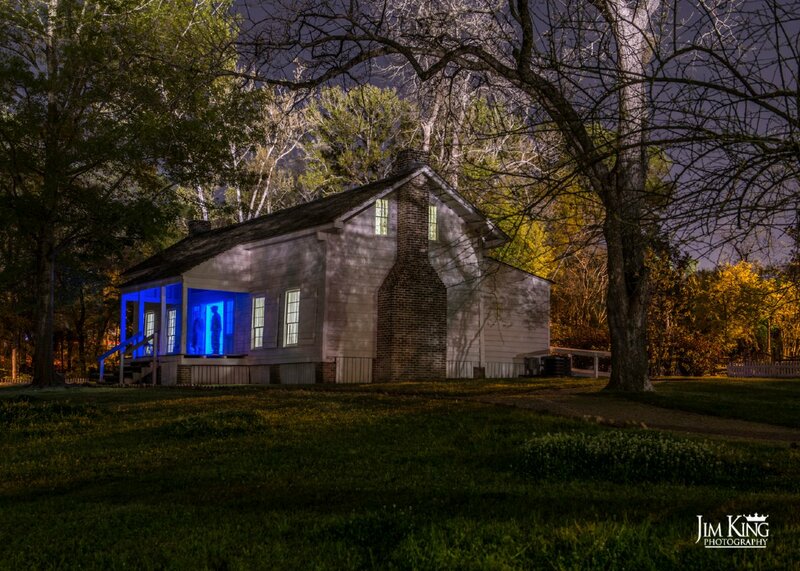 You will notice the glow of a blue light coming from within the home during the overnight stay of the rings. As I understand it, the light is symbolic and only shines during the stay of the rings. 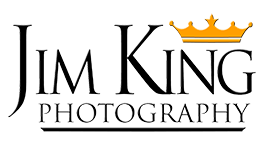 You can see more images on our "Jim King Photography" Facebook page. Check them out and tell me what you think!